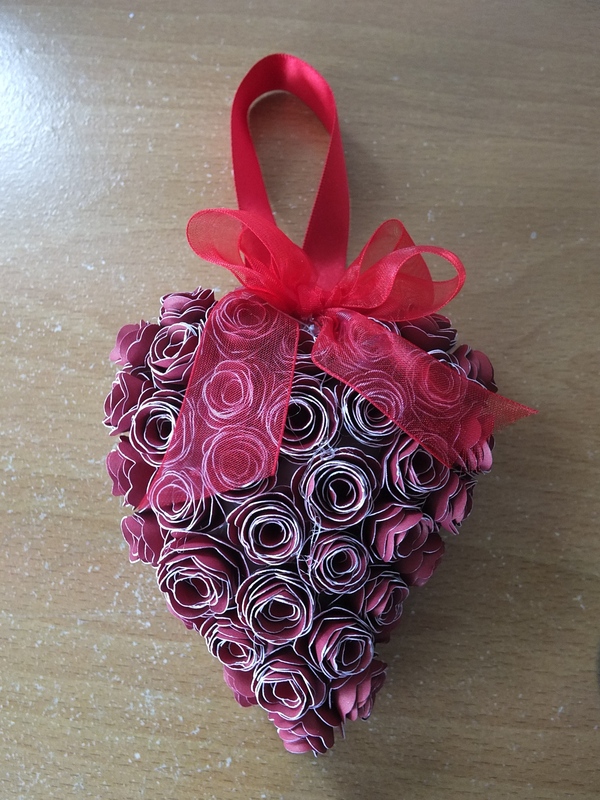 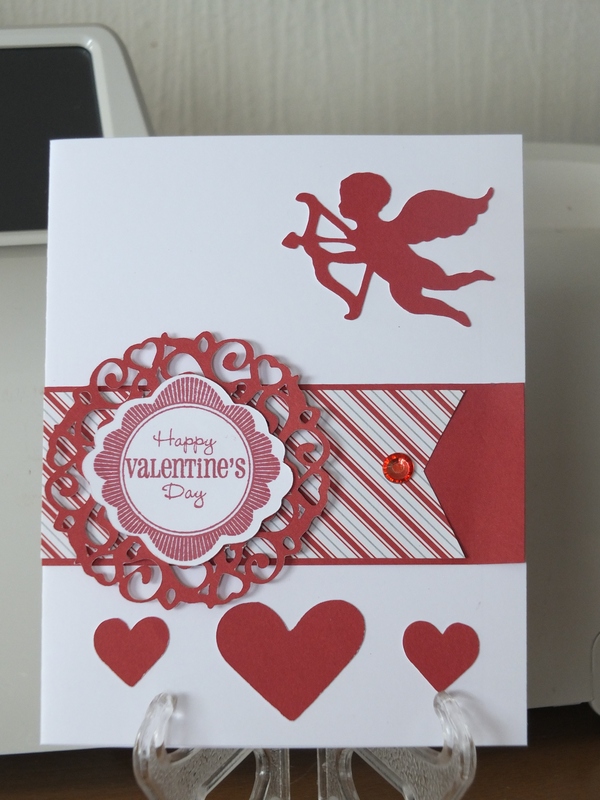 I have been busy making Valentine’s Day cards and decorations for selling at Craft Hutt and this time I have kept to the traditional colours of red, pink and white for making them. 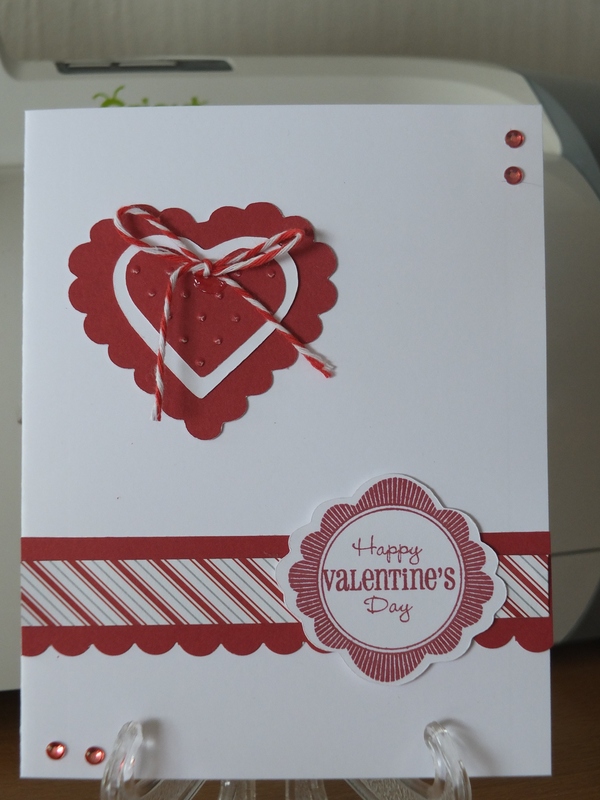 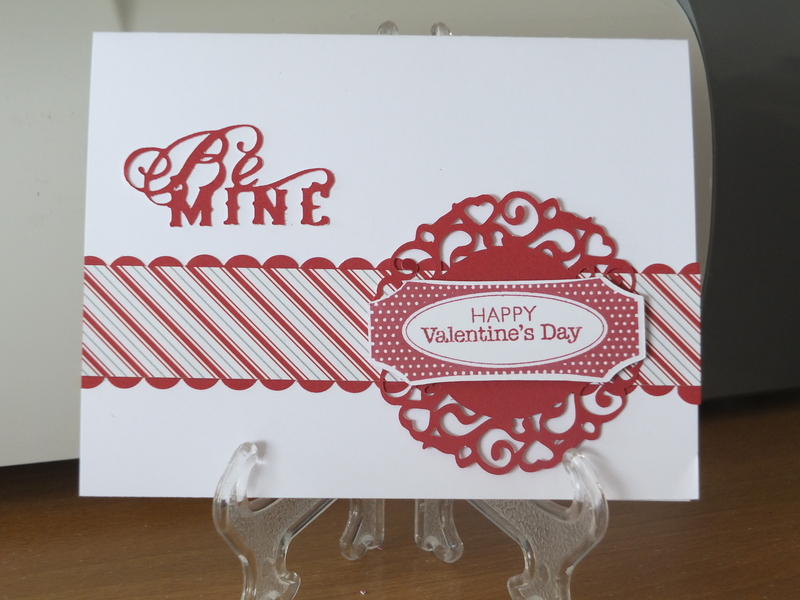 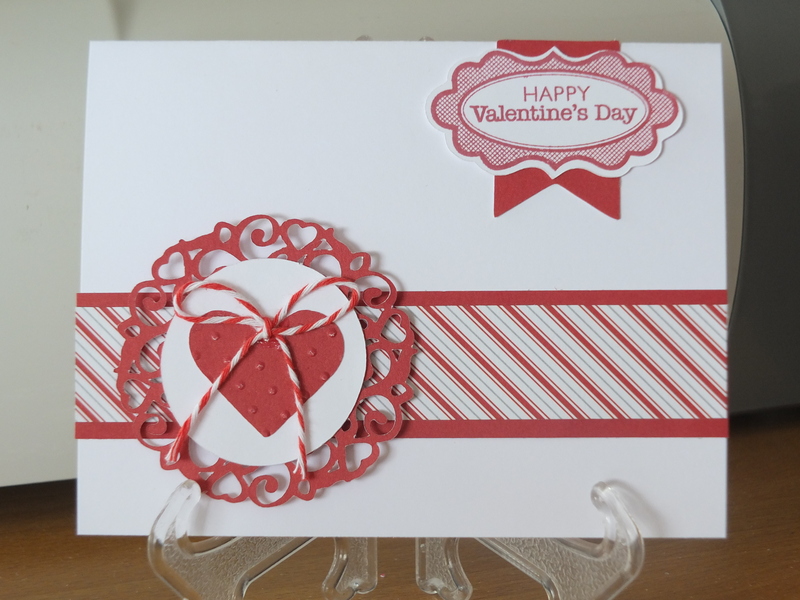 I have kept them very simple and used the last of the Sparkle and Shine candy stripped papers and Ruby cardstock. 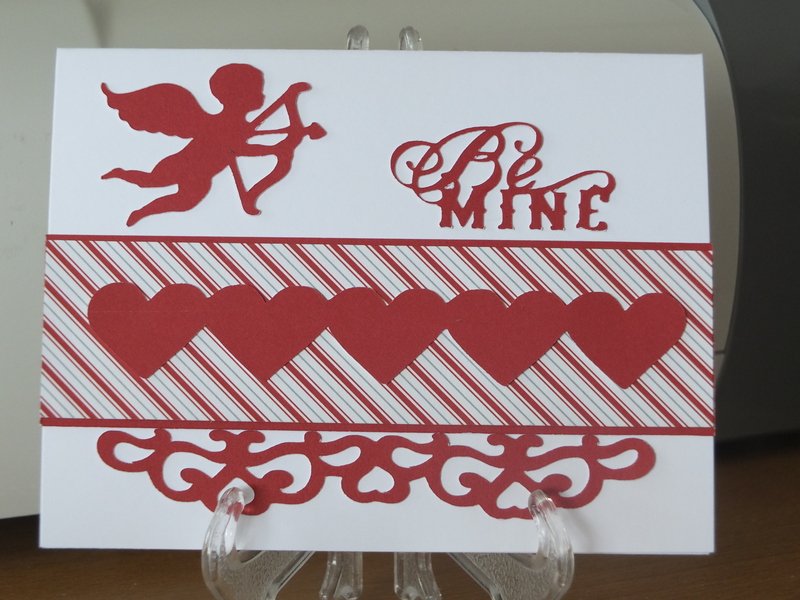 My Cricut machine had a good workout and I am happy with the way they have come out. 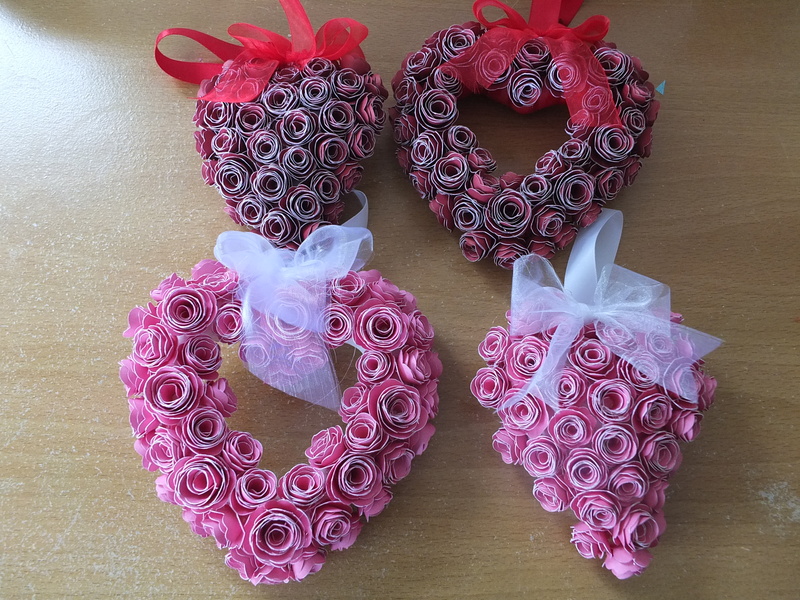 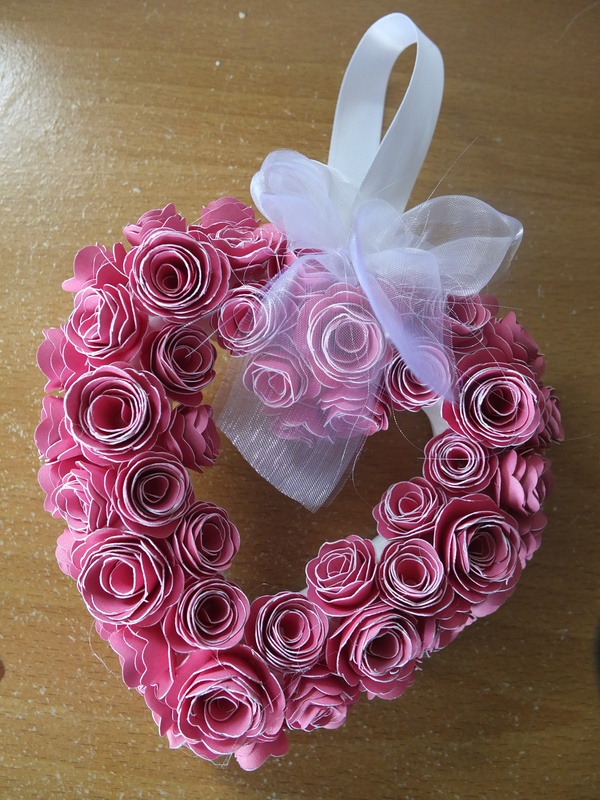 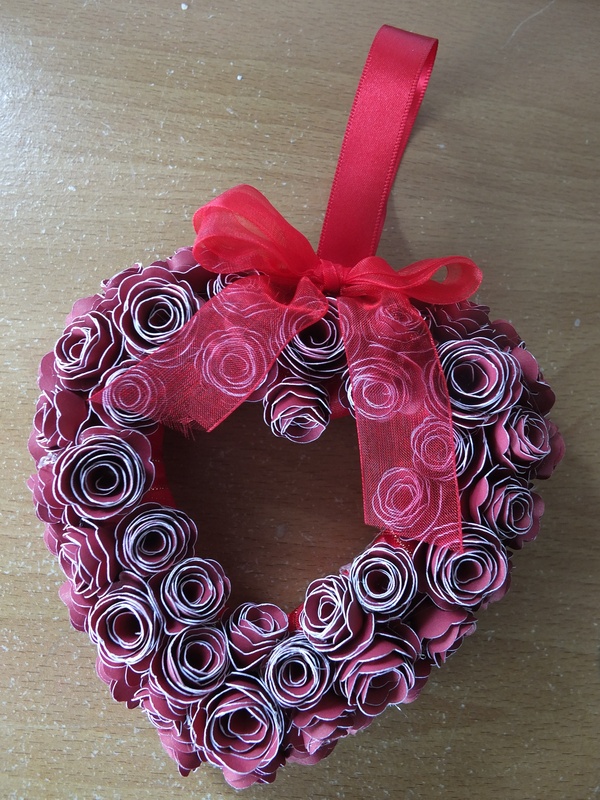 Here are some decorations that I have made with roses using the Cricut Artiste cartridge and some polystyrene shapes from the local bargain store. 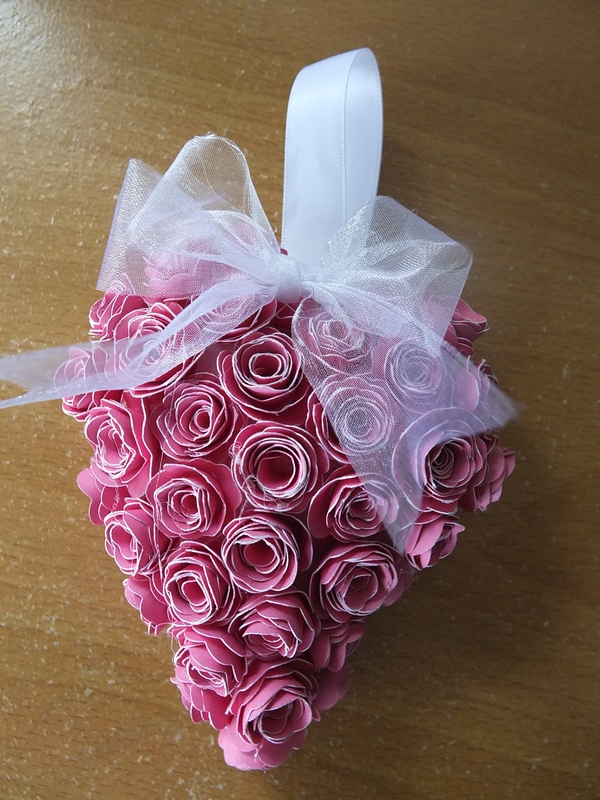 I hope that you all have a good week and keep safe from all the bizarre weather conditions around the world.